The consensus among guides and experienced Chinook fly fishers is that rods should be short and stout. 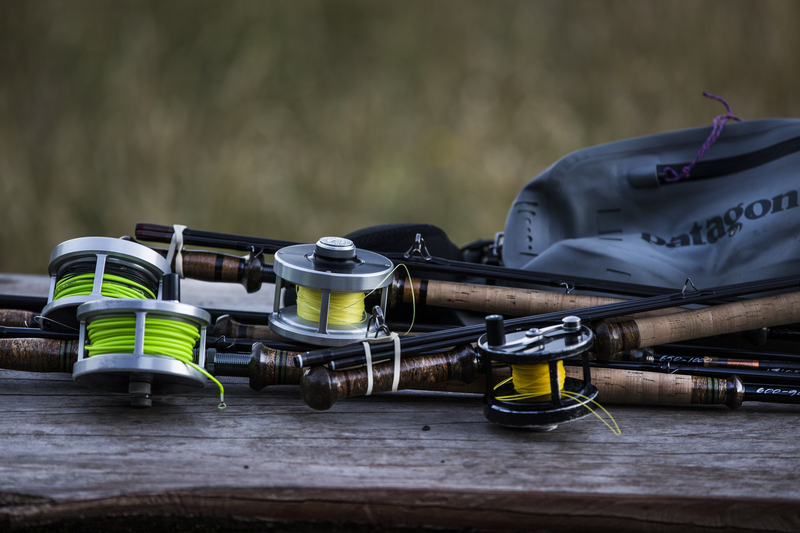 A guide-endorsed rig might consist of a 13 – 14 foot double-handed rod for a 9- or 10-weight line. A high quality reel capable of holding over 200 yards of 30-pound backing, 100 feet of 30-pound-test (minimum) running line, a 650- to 750-grain Skagit head, and a sinking tip made of 10 to 20 feet of T-14, T-17, or T-20, if you really want to get down and dirty. High quality machined aluminum reels with a smooth drag and a rim control feature are highly recommended. You will want to make sure your reel’s drag system will operate well when wet and in cold conditions. Note: A proper Chinook fly reel should be able to stop a speeding truck. 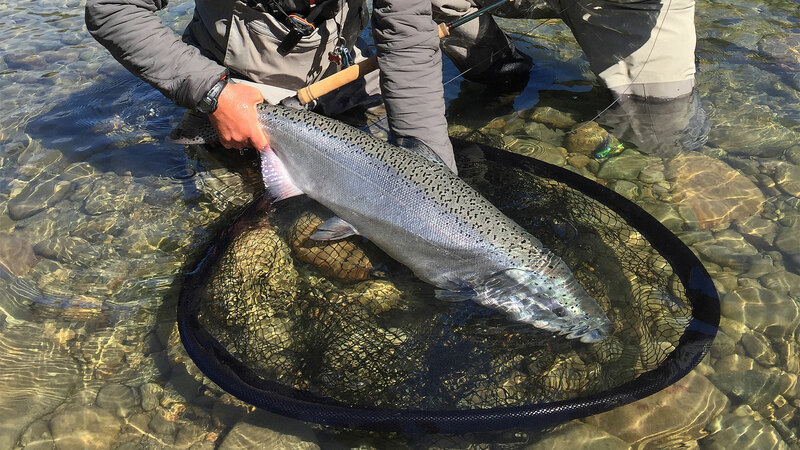 In Chinook fly fishing, more so than in any other fresh water fly fishing, your reel’s braking capability can play a huge role in whether or not you ever see the fish you’ve hooked. The most common and useful line system for Chinook fly fishing with a double-handed rod is composed of a running line and Skagit-style shooting head. Skagit heads are designed to aid in casting sink tips and large (2–6 inches), weighted flies. RIO, Airflo and Scientific Angler are the most popular and established brands in North America, but several other brands have recently begun offering shooting heads with Skagit-style tapers. Well, few know better than Jeff Bright, who has been so kind to share his article from Fly Fisherman Magazine titled, The King’s New Crown. Please kick back and enjoy the ride. Click here to read the article by Jeff Bright – sharing his darkest secrets! 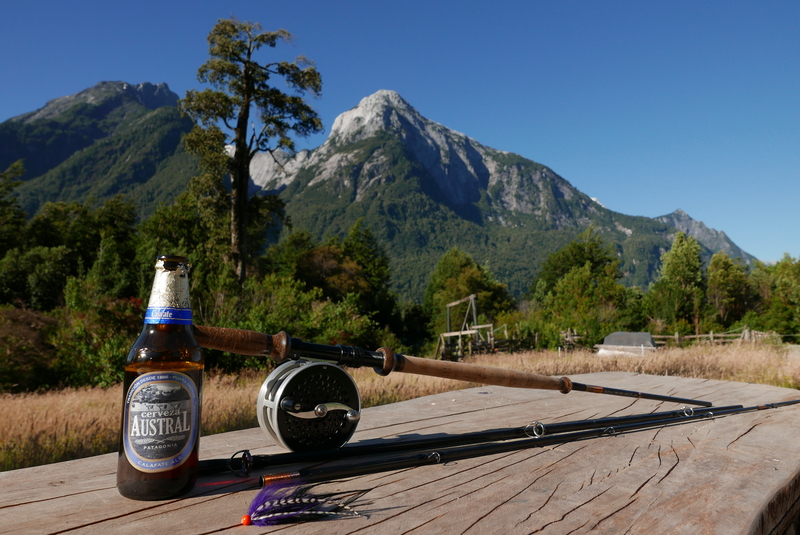 Jeff Bright is a writer, photographer, travel specialist, avid steelheader, conservationist, and a true Salmon Junkie. He hosts more than a dozen expeditions for anadromous fish annually, from the Skeena River to Tierra del Fuego to Norway to the Canadian Arctic. He is the author of numerous magazine articles and several books. His most recently published work is Written on Water: Musings on the Sea-run Angle and he is also now onboard with Chasing Silver Magazine as North American West Coast Field Editor.